Keeps hair detangled, soft and radiant. Enriched with extracts of protein-rich herbs, our new conditioners nourish your hair giving you the three essential benefits that your hair needs – strength, reduced hair fall and protection from everyday damage. Himalaya Herbals Protein Conditioner Softness & Shine is a gentle formulation that conditions and keeps your hair silky smooth, soft and tangle-free. Our conditioner nourishes your hair with natural proteins, giving it a healthy shine. 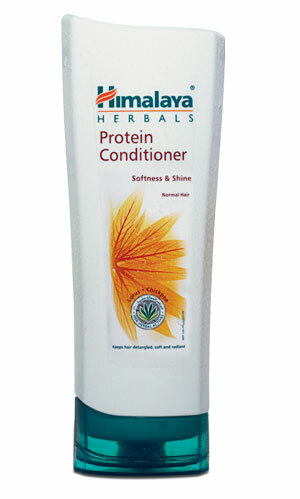 Gently massage Himalaya Herbals Protein Conditioner Softness & Shine into wet, shampooed hair, from root to tip. Rinse thoroughly.